Cross Country Express: What is the toughest XC course in California? I may have asked this question before will ask again. 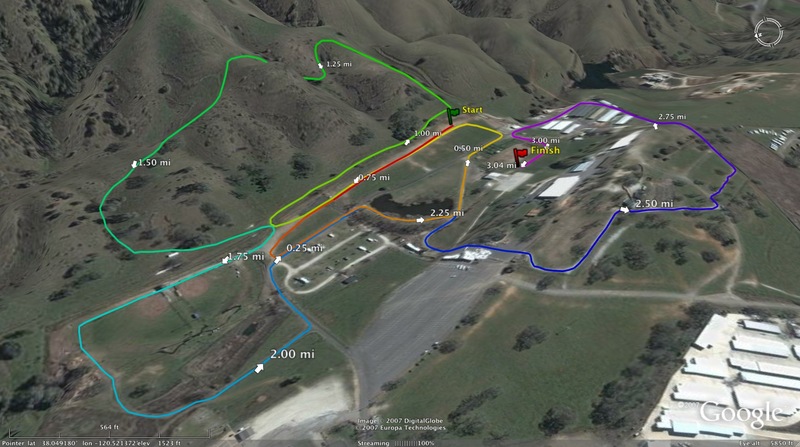 What do you think is the toughest XC course in California? This can be local or it can be in another part of the state. 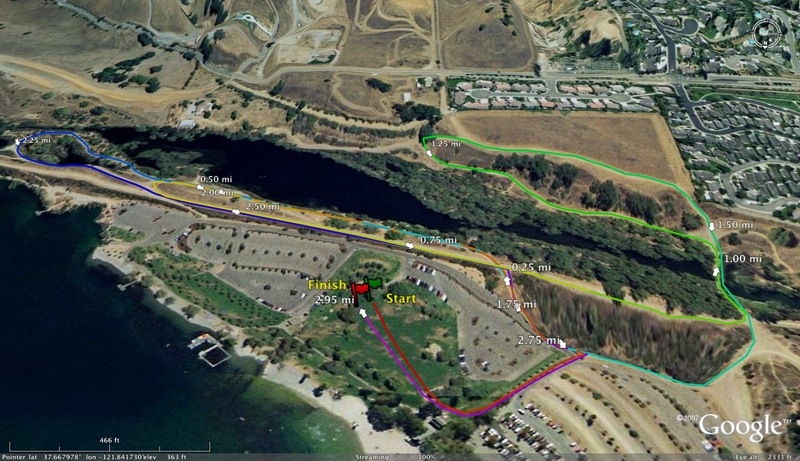 On the opposite spectrum, what is the easiest (fastest) XC course in California? Also, what makes a good XC course? What are some of your favorite courses? Extra credit question. What is the most impressive course record in Northern California? 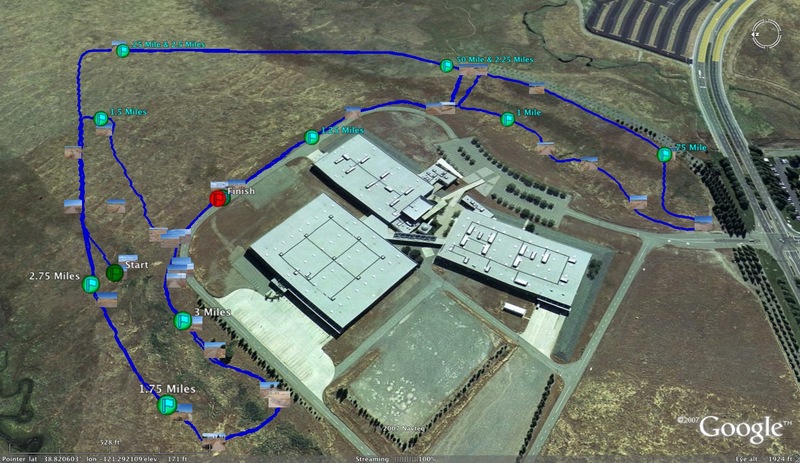 Hardest and Best: Crystal Springs. Easiest: Woodbridge. The best ones are on courses that are specific to XC and not set up on a golf course or set of trails used for other purposes. Crystal has that and the beauty of the hills and surrounding open space. 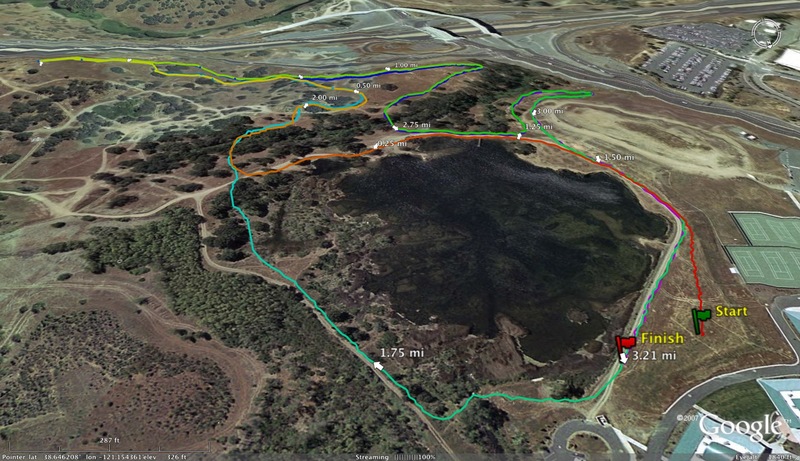 The toughest is XC course in CA is Joaquin Miller Park, which the Oakland Section uses for it's championship. A great cross country course incorporates a blend of hills, downhills, and flat fast sections which are evenly distributed throughout the entire course. Crystal Springs is the epitome of this layout and is arguable the best pure cross country course not only in California but the entire country. 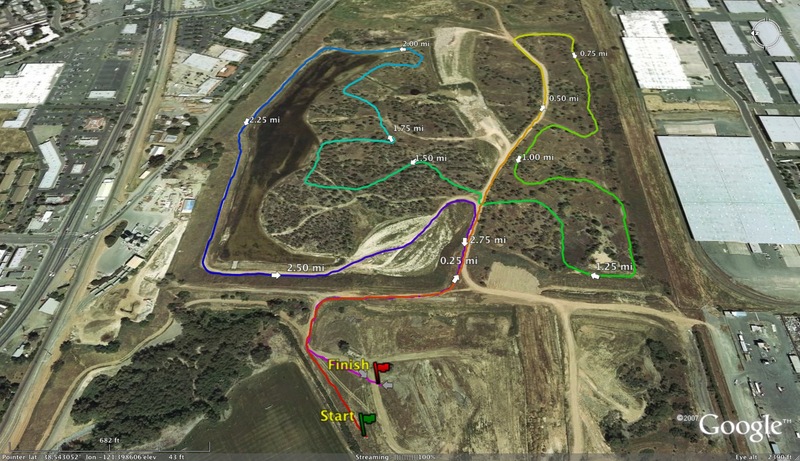 The course challenges you from the start (super fast/steep downhill), the middle portion (long uphill with sweeping downhill), and finishing with a mix of up and down trails and a long gradual uphill finish. Given most of us know that 4:16 above is right about Crystal being the best course in CA if not the country, can someone tell us why the CCS chooses to use Toro every other year for the section finals? Don't get me wrong, Toro is a very nice course and there are many great early meets to go to, but it is not in the same league as Crystal and should not be used for the CCS final. IMHO. CCS alternates between Crystal Springs and Toro so that the teams have a conceivably fair amount of travel time whether they are closer to the northern or southern part of the section. Oh, got it. It’s like going to Gilroy Gardens instead of Disney Land because it’s closer and fewer people will complain about the drive. Smart! I remember when Crystal Springs hosted the CCS meet for many years in a row. Now, we have an alternate site and that's fine with me. I think some teams prefer Crystal Springs and some Toro and it seems fair to me that both courses are used to determine the CCS champions. 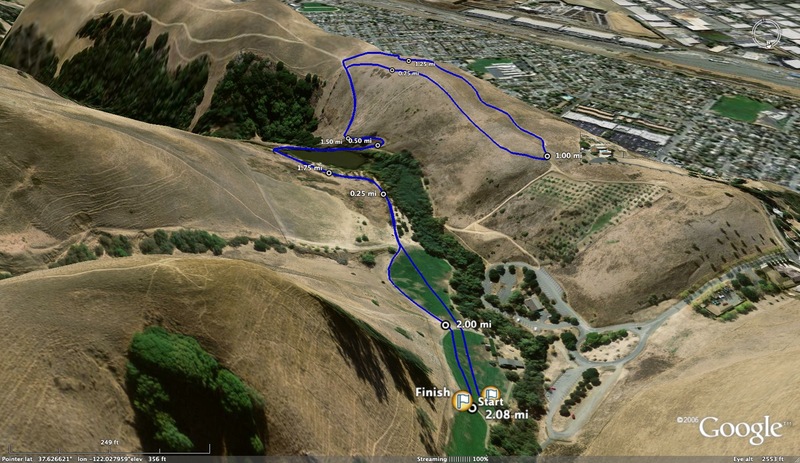 Joaquin Miller Park - former OAL Section Finals course - is definitely the hardest in CA. 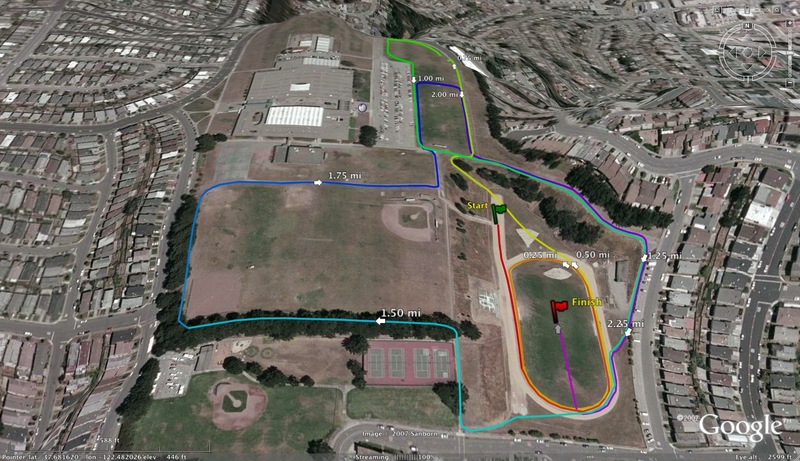 The times which athletes run at JMP are roughly 2-2.5 min slower than a Woodward Park equivalent for elite boys, and roughly 2.5-3 min slower for elite girls. OAL is moving away from JMP this year, but the hill loops will always carry the legacy of broken souls. 8:56, where is the Oakland Section going to hold their meet this year? Crystal Springs and Mount Sac are the two hardest in my opinion. Both have many challenging hills and unforgiving climates. It can be very hot or very windy at crystal and at Mount Sac it generally always hot. Some of the best teams in California run these two courses and it always proves to be a challenge. 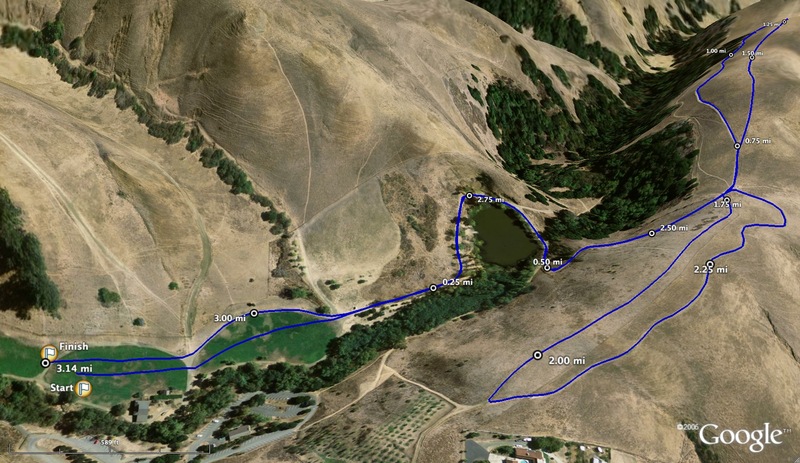 I don't have any experience with Crystal Springs, but the Willow Hills record is held by California legend German Fernandez and only Luis Grijalva and Michael Vernau have gotten within 30 seconds of that record (during the season they went 1-2 at the D1 State Championships), the course is a beast. Mount Sac is a challenging course, but I've talked to some of the veterans and it is nothing like it was in the old days. When I ran it the hills were like running on a beach, not the well manicured track they currently maintain. It's still a tough course, but was probably a solid 10-15 seconds slower in the old days. I feel the Balboa Park /Footlocker course is a great Xc course that's a good mix of a California xc course and a traditional xc course ran in other states. It's mix of flats, uphills and downhills that makes for a very exciting race. 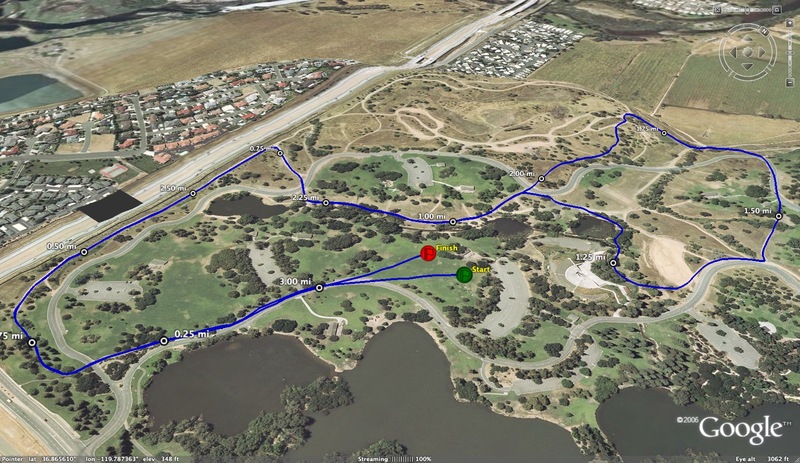 I agree with 2:44, Balboa is a perfect X-C course on all levels. It's important to remember that a great X-C course needs to be fair. Not necessarily the toughest but challenging and has a little bit of everything of which all types of runners can take advantage of. A good measuring bar with regard to elite times is 15:00min for boys and 17:00min for girls. Anything under these standards and you're a D-1 prospect. 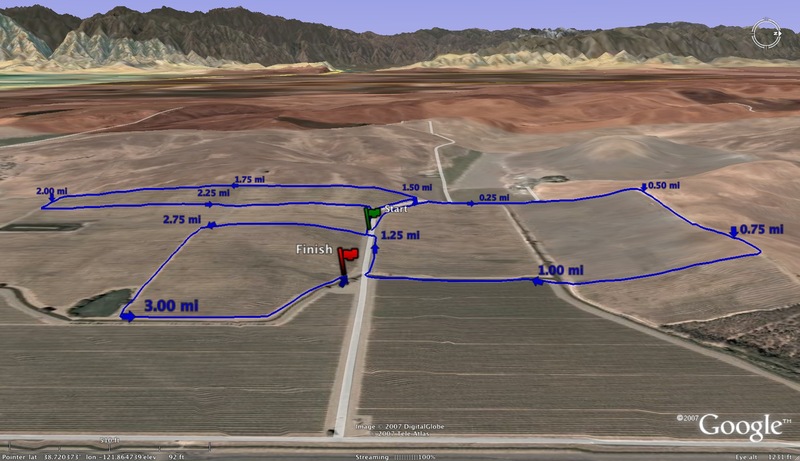 I know I am answering my own question here but to me a great course has a nice wide starting line to accommodate a lot of teams, space for runners to pass other runners throughout the race, flat, uphills and down hills to accommodate all strengths, sure footing since runners can't use spikes in California and last but not least, be spectator friendly. Mt. Sac has history. But it’s all very steep up and down. Toro Park is awesome. Great course and deceivingly challenging. But North Tahoe is the toughest course in CA. BTW when you have little kids Gilroy Gardens is far and away a better trip to take to Disneyland. So that was a terrible analogy and you should apologize. Albert, I think Canyon Middle School's 3-mile course is the toughest course we've ever run. I think it's tougher than Crystal Springs and Mt. SAC. Whenever someone asks me about the toughest course in California, that is the first one that comes to mind. Calvin Gaziano's 15:25 on that course is unreal and I am not sure who is going to break that record. I would still love for someone to show me the CIF rule that states that you cannot wear spikes in California. I know that some sections have restricted using spikes in section hosted meets, but I have found no such rule from CIF and since CIF defers to NFHS rules, it would appear that spikes are allowed unless specifically restricted by each section. Even then, there is nothing stopping someone from wearing spikes at an XC invitational hosted by a non section member school such as Woodbridge, Stanford or similar, unless of course the meet host prohibits it. I could be wrong, but if so, I'd love for someone to show me where it says so. a. Each competitor shall wear shoes on both feet. 1. The shoes shall have an upper and definitely recognizable sole and heel. 2. The (shoe) upper must be designed so that it can be fastened securely to the foot. 3. In cross country, the sole and heel may contain grooves, ridges or track spikes which are no longer than 1 inch. NOTE: The games committee may also determine the length of spikes allowed on all‐weather surfaces. 4. The use of slippers or socks does not meet the requirements of the rule. "Athletes shall not wear spiked track shoes in any cross country meet held by a Section member school nor shall barefoot running be allowed in any cross country meet held in this Section"
A. The current National Federation Track & Field and Cross Country Rules will be followed, with the modification that NO SPIKES ARE ALLOWED ON THE COURSE! Can't find any other info for the other NorCal sections. In college some wore spikes at Woodward Park and they paid the price. Why anyone would wear spikes on that course is beyond me. Try sprinting on pavement the last 1/4 mile. Yikes. I know on Stanford they say not to wear spikes but they won't really enforce it, plenty of people have worn spikes there. However, that's really one of the only cali course I could see spikes being useful on. “track spikes which are no longer than 1 inch.” Wouldn’t want to fall and be run over by a bunch of folks wearing those. I believe the point is that the statement "runners can't use spikes in California," is one of those long time myths that keeps getting repeated without any factual basis. The question of if one "should" wear spikes on most of the courses in California is a completely different and valid one. As stated, Stanford and Silver Lakes, where Woodbridge is currently run, would be just 2 examples of where spikes could be beneficial. It seems in California you are either running in a park where you cross and run on sidewalks often or you are on a golf course that's pancake flat. The golf courses are where spikes are helpful, especially since they have a tendency to be wet from overnight watering and the footing can be sketchy. I'm pretty sure you can wear spikes at Balboa even though there are many instances of crossing concrete. When runners come from other states for Footlocker they are accustomed to wearing spikes and if I remember correctly, they will even sell you a pair there. uniform and wear running shoes. Spikes will not be permitted." The Blue Book contains the constitution and bylaws for the CIF Southern Section and only applies to the CIF Southern section, not the state of California. The CIF says nothing about spikes and unless specifically banned by the section or the meet host, they are allowed. "I know that some sections have restricted using spikes in section hosted meets, but I have found no such rule from CIF and since CIF defers to NFHS rules, it would appear that spikes are allowed unless specifically restricted by each section. Based on this, I'm going to wear spikes at Stanford this year. Will I be faster? NO SPIKES MAY BE WORN IN HIGH SCHOOL RACES. " "I know on Stanford they say not to wear spikes but they won't really enforce it, plenty of people have worn spikes there. However, that's really one of the only cali course I could see spikes being useful on." This has devolved into everyone repeating each other. "Oh, got it. It’s like going to Gilroy Gardens instead of Disney Land because it’s closer and fewer people will complain about the drive. Smart!" What a brilliant comment, possibly the best I have ever read on this blog regardless of the topic. I couldn't agree more. As for this topic - Crystal Springs is the best, it simply gets better with age as it allows you to chase that many more legendary runners who have scorched the trail. That course can be a PITA if it rains and if it doesn't, it's still a handful. 1 - Fiona O'Keefe 2014 in 16:57. In my opinion, this will not be beat for a very long time! It's a full 44 seconds faster than any other female has ever run there. It's crazy fast for that course. Although not accurate, but at least consistently inaccurate, the xcstats course time converter converts that to a 16:23 at Toro. When you plug other performances into the same conversion tool they aren't even close. 2 - German Fernandez 2007 in 15:03 and 27 seconds faster than the 2nd place male. Don't sleep on Willow Hills. 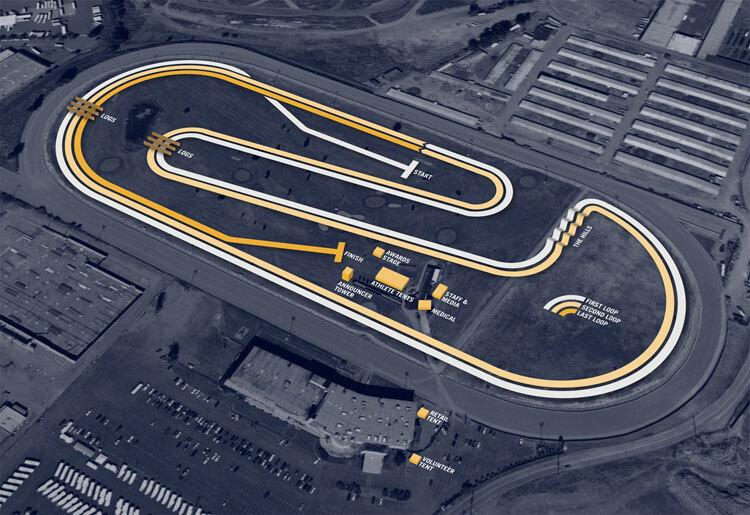 The fastest course has to be Woodbridge, it might as well be a track. I don't get the point of a course that has literally no hills, even surface etc. Not a whole lot you can do about it, but seeing how few Northern California teams travel down there it distorts speed rankings, etc. It also seems that most NorCal courses are 5k, while most in Southern California are 3 miles, any reason for that or maybe I am wrong? From Hal Harkness’ in regards to the spike rule. It is from the SS Blue Book, but it is also a state rule. They took most everything out of the By-laws several years ago. It's still in the State Championship Handbook. Don’t think any major invitational or section level meets will allow spikes. I don't understand why people are so quick to believe and then repeat just about anything, even in the absence of proof. You cannot say "but it's also a state rule" if it's not in the state's rules. Correction: you can say anything you want, but that doesn't make it true. If you go to cifstate.org right now, click on SPORTS>CROSS COUNTRY>RULES, you will see that it points you to the NFHS rules and rule changes for 2018/19. Each Section can determine for themselves whether spikes are appropriate for their situation and add overlays to the rule. Some have, others have not. In the absence of such an overlay, the NFHS rules apply. This. Is. Fact. This may all seem like much ado about nothing, because in the grand scheme, most really don't care if you can wear spikes or not. The bigger issue and the one that irritates me most, is that we are all getting dumber because no one fact checks anything. Truth is being eroded little by little to mean something else. We have to stop doing things because they've always been done that way and saying things because everyone else is saying it. Whether you can or cannot wear spikes at Stanford, whether top invitations will allow it or not, whether the CIFSS says you cannot, whether Hank says so or not are all irrelevant to the simple fact that the statement "runners can't use spikes in California" is demonstrably false. I am pretty sure that CA does not allow spikes but there are other states that do. I know for most athletes that compete at NXN, it's usually the first time that they race in spikes. Youth track is not the same or related in any way to cif competition. You are correct in that the rule may not be specifically stated but I have been coaching since 1992 and have seen it posted many things before. I am pretty sure I am not making this up. Lastly, there is no way golf courses are going to allow spikes so even if spikes were legal, meet management would not allow it. I know that I wore spikes on the old Crystal Springs course back in 1968, twice. It tore my heels up, twice. I don't encourage spikes at xc meets, I also don't really care - if a course/meet mgmnt allow them and a runner wants to use them then go for it - that's what "Hank" says. "I am pretty sure that CA does not allow spikes but there are other states that do." "I know for most athletes that compete at NXN, it's usually the first time that they race in spikes." CONJECTURE - You know of no such thing as you could not possibly know most of the athletes that have competed at NXN. "Youth track is not the same or related in any way to cif competition." DEFLECTION - You didn't say CIF doesn't allow runners to wear spikes, you said "runners can't use spikes in California." Youth track includes high school aged athletes up to age 18 IN CALIFORNIA so it's relevant to rebut your statement. "You are correct in that the rule may not be specifically stated but I have been coaching since 1992 and have seen it posted many things before." Seeing it posted does not make it a fact. If it's not stated in the rules, then it's not a rule, or in this case, if it is stated in the rules, then it's allowed absent a section overlay. "I am pretty sure I am not making this up." I heard that a man gave birth to an alien baby and I swear I'm not making that up either. This, however, does not make it a fact. "Lastly, there is no way golf courses are going to allow spikes so even if spikes were legal, meet management would not allow it. I'm guessing that you don't golf do you? I swear I'm not trying to be a jerk, I just don't get why you are so adamantly defending a position that is clearly incorrect. The rules are right in front of you and they don't say what you say they say or apparently what you believe they should say. Maybe the CIF overlooked it and forgot to state that spikes are not allowed. That's possible, but as of right now, it doesn't say that. If a kid wears them and the meet doesn't specifically state otherwise, I'd love to see them try to DQ the athlete. Not gonna happen! On another note, Ron Ernst, I am glad I wasn't the only one who chuckled about the Gilroy Gardens/ Disneyland analogy. Funny stuff. For the record, I set my Crystal Springs PR in Adidas Tokyo's!!! @5:24 I love a good Bonfonte joke but are Adidas a real shoe company anymore. I’m partial to Nike XC spikes which I intend to wear at the CCS meet this year. Come at me bro! I believe when I ran high school in the 80s, Adidas was the go-to running shoe company. We're off the main subject but I loved me some Tigers. I really don’t understand all the love on here for Crystal Springs. Maybe it’s nostalgia? Fact is that course is normally scorching hot. There’s no shade. There’s no parking. Bob goes around and destroys anyone for every little thing. The 1st mile is absolutely aweful with a 1/4 mile cliff to start the race. It is so dry you eat just the entire way and have a mouth full of dirt by the time you’re done. That is if you don’t get stung by the bees have their nests in the gopher holes that you can step in and break your ankles. Only thing good about the course it’s never changed, it’s all dirt and last 2 miles are good XC. Good course but far from Disneyland. No course is perfect and you mentioned some of the warts of the Crystal Springs course. You also did mention some of its good points as well and I would add it's also fairly spectator friendly. We are very fortunate to have a course dedicated to cross country and while Bob can be rough around the edges, he has put in a TON of work over many years so that we can use it every season. I will tell you that finding good courses is really difficult and if there comes a time when the Crystal Springs course is no longer available for cross country folks, it will be missed immensely. 16:08 PB in my Nike Duelist. I agree with the above poster in that the majority of races in California do not have a need for spikes. It's rare for us to race in a rain click course so racing flats are good enough for kids to run very fast. Crystal Springs is a sweaty nutsack. It’s next to a freeway. There is legit one trail and no place to warm up. Half of the course no one can even see/no cool sprint finish. The start is a gr8 way for people who’ll come in dead last to ruin the race for real competitors. It’s often like a nice sandy beach. It’s hot/no shade which makes it easy not rot away is your not under a 15x15 team tent. I get that everyone’s been there and it’s good 4 time comparison, but it’s the 21st century and with everything available now we’ve seen a lot of good courses and it’s just not one of them. Old people I’m sorry, but someone call The Feelings Police 👮‍♀️ it’s time for a new CCS course (thanks to Toro). I get all the cross country history and wutever but come on guys it’s not that cool to talk about a bunch of very amateur athletes whom most are over the hill after maybe 2 years of at the top high school racing go on to work at a Home Depot. Olympic athletes in turn are dedicated individuals who put all they have in to a given craft to perfect it, not putting in some semi-hard work and winning a few races cause yer 5 “10” 130 or have to shave twice a day in high school only to find yerself selling vanities. Grow up, get back to real life and realize carving a course out of an overly dried hill next to a highway just wasn’t a good plan. Stop massaging Crystal’s ballsack and liking it cause everyone does and you want 2B cool cause yer not. Gooday gentlemen. So I take it that you don’t like the Crystal Springs course? I hope we don’t have to move CCS this season because Cal Fire is using the start line as a parking lot. Oh wait. Come on, Crystal Springs is a really good course. Rolling hills that are a fair test but not ridiculous, very unusually spectator-friendly, lots of history, generally great weather up in the San Mateo/Belmont hills. Anyone who is complaining about heat at Crystal needs to toughen up and get out of their Northern California bubble. Even when it's hot there, it's nothing like racing in almost any other part of the country when it's hot and humid (south, midwest, northeast, you name it). Racing less than 3 miles in a dry 85-90 degrees is nothing. 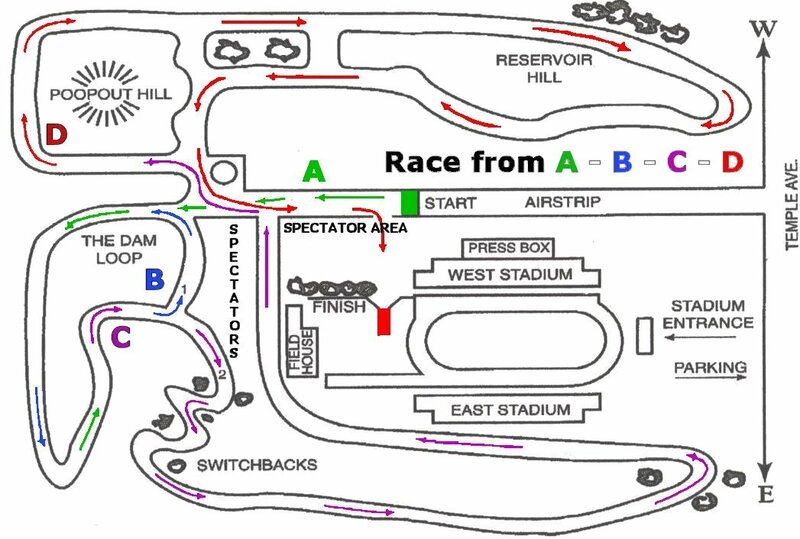 My only complaints from having raced it many times: let's face it, the downhill start is silly and possibly dangerous. I don't know what Bob was thinking. It is what it is and I haven't seen too many spills, so maybe it works itself out, but it's crazy to have a stampede down a hill in the first 100m of a cross country course. The other thing is that the footing is rutted and not great in parts of the course, especially the first mile. I've been told that it was rolled out in parts at some point and runs 10-20 seconds faster now than it did decades ago, so maybe it's better than it used to be, but I've jogged it and it's still not ideal. But in the scheme of things these are minor complaints and I agree with Albert that we're lucky to have this course. He was thinking it was MF cross country in the 60’s & 70’s when you ran tough courses. He was thinking it was no big deal cuz kids ran 80-100 mpw. And he was thinking the start line was about 300 meters back. But then when it got moved for the first race he said f-it and kept it there. He was thinking he is MF Bob Rush and if you can’t handle a tough first mile don’t run then. It was about grit more than speed. That’s what he was thinking. If you want to know what he’s thinking now show up without your med kit and he will tell ya. Thanks, I got a chuckle out of that. Don't get me wrong, I love Crystal Springs. But I'm not so nostalgic about an otherwise great course that I think it's perfect, and I'll double down on the idea that the downhill start is its biggest and maybe only real flaw. There's a reason why you don't normally see cross country courses start with a steep downhill, and it has nothing to do with toughness. Sure, you could call the risk of taking a huge fall sprinting down the hill part of the "grit" of the sport, but to me there's grit and then there's just flawed course design. It adds a ton of random risk of being clipped while charging downhill in a huge pack of high school kids that is unnecessary and doesn't tell us anything about who the fastest and toughest runner is. The kid who gets clipped from behind and takes a hard downhill fall isn't tough? By the way, I'm surprised to hear all the problems with Bob, he seems like a teddy bear when I've spoken with him. But you may be right about how he thought of it. They could've changed the course the following year to a 5K since no one broke 15:00 minutes in 1971 but the course designers decided to stick with the odd distance. Had it been a 5K the start would have been a slight uphill for 250m and then the downhill. Aside from veering into the spike discussion, I too vote for Canyon Middle School as one of the toughest courses around. Hills, grass, big start, loneliness, buzzards circling, it has it all. Any place that at 3.0 miles runs a full 45 seconds slower on the boys' level than the state meet is remarkable. And Joaquin Miller's toughness is due to over 25 years of neglect and lack of maintenance. When the entire course is a single track goat path, of course the times suffer. Still, at its best-groomed, it was still a very demanding place to run. But all the courses mentioned have their own particularities and demands and attractions. However, for tough, I'll still go with Canyon Middle School. 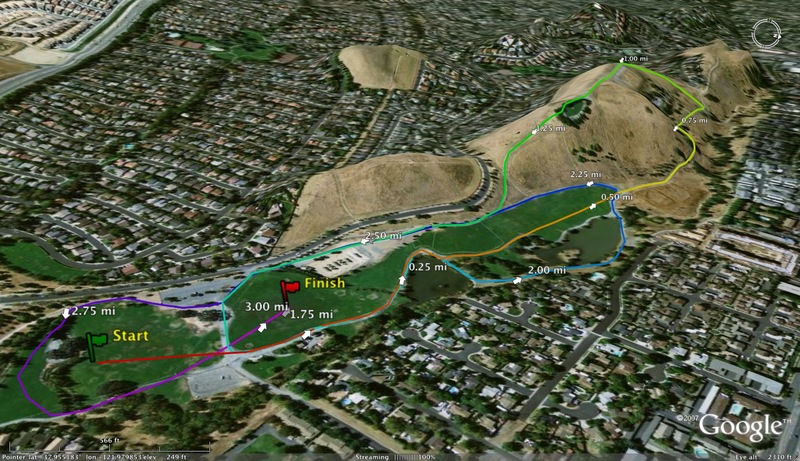 The Lagoon Valley Park 3 mile course in Vacaville is without question one of the toughest in CA. The Lagoon Valley Classic also starts the season for many teams in the SJS and usually gives a good indication of who did their homework over the summer. Last year the course was shortened to 2 miles due to excessive heat, but it should be back to the 3 miler this year. Any previews planned for this meet?